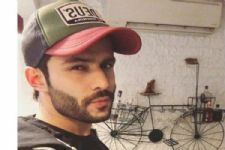 After being a part of the first season of Star Bharat's Kaal Bhairav Rahasya, actor Ahwaan Kumar has now joined the cast of the show's second season too. "I'm very excited to be part of the second season of the show. I'm the only person who was in the first season and now in the second season too. But my character is not the same," Ahwaan said in a statement. "The story is new and there is nothing related to the first season," he added. He is currently shooting for it in Gujarat. Ahwaan is also known for his shows like Geet Hui Sabse Parayi, Sapne Suhane Ladakpan Ke and Behenein. 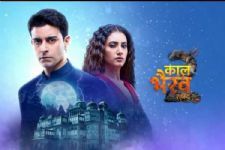 Kaal Bhairav Rahasya 2 being produced by Ravi Garani's production and directed by Dharmesh Shah, features Saraswatichandra fame Gautam Rode and Additi Gupta from Kis Desh Mein Hai Mera Dil in lead roles. In this new season, the story will revolve around a mysterious temple, a palace and a Royal family living in the same vicinity. The show is expected to start airing from 30th October. Hope this time also he is positive!! !Loved him last time!! !